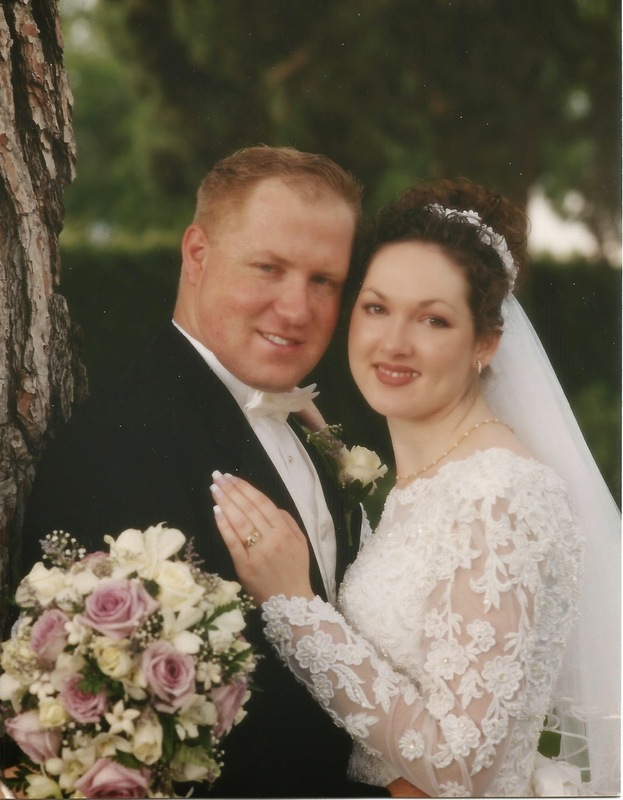 Matt & I (Jenice) have been married since August 2001. We currently live in San Tan Valley (Queen Creek), AZ, with our 3 kiddos. Matt is still working for Southwest Ambulance. He's in Queen Creek it's nice to have him close! He's also enrolled in Nursing school and it keeps him very busy. I am happy being a stay at home mommy! 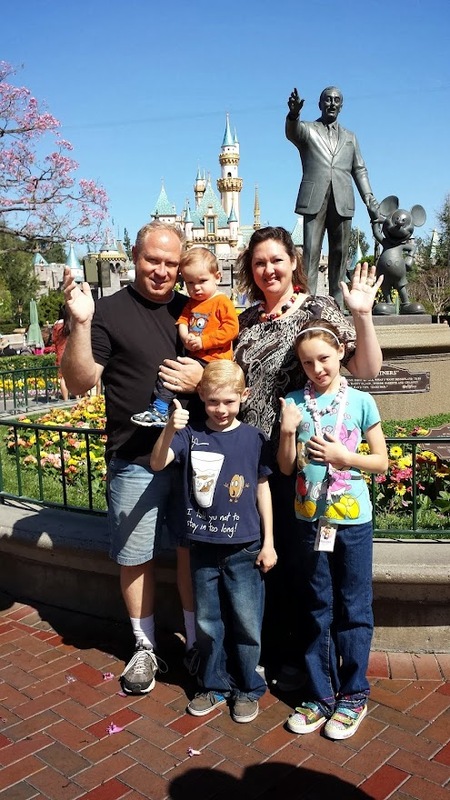 I'm in the Relief Society Presidency, and shuttle my kids to and from various activities. I also run a bead business out of the house, and am a licensed Realtor. Amberlyn is now 11. 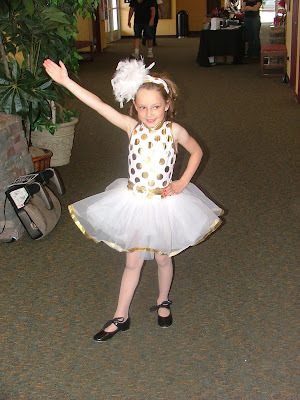 She likes her dance classes, and loves playing with her friends. She loves her 6th grade class! Denver, 8, is a 4th grader! He likes video games and playing with his friends too. Baby Hudson is already 3! He's a super smiley and happy addition to our family. He loves Preschool and Mickey Mouse. He is just like Denver was, he'll do anything for a laugh! That's our family! We'll keep you updated on our lives! Funniest Blog in the World! I just wanted to take today to tell the world how much I love my hubby! 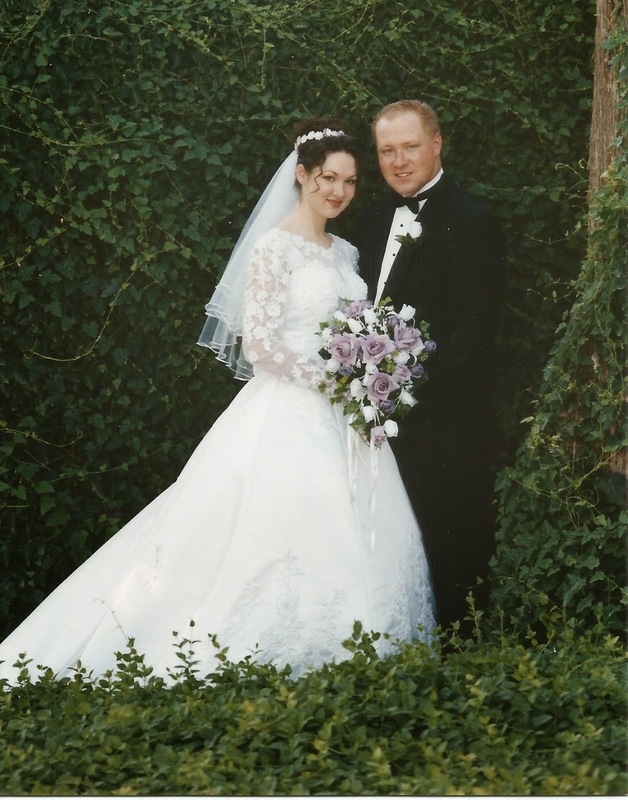 Today is our 13th anniversary! 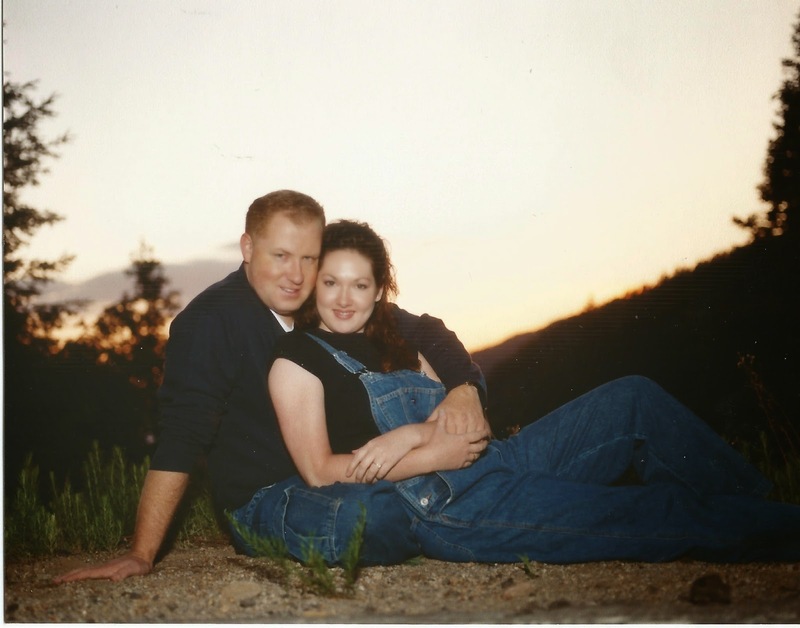 We met at Logan & Nicole's wedding, and I knew that very night that I was going to marry him. 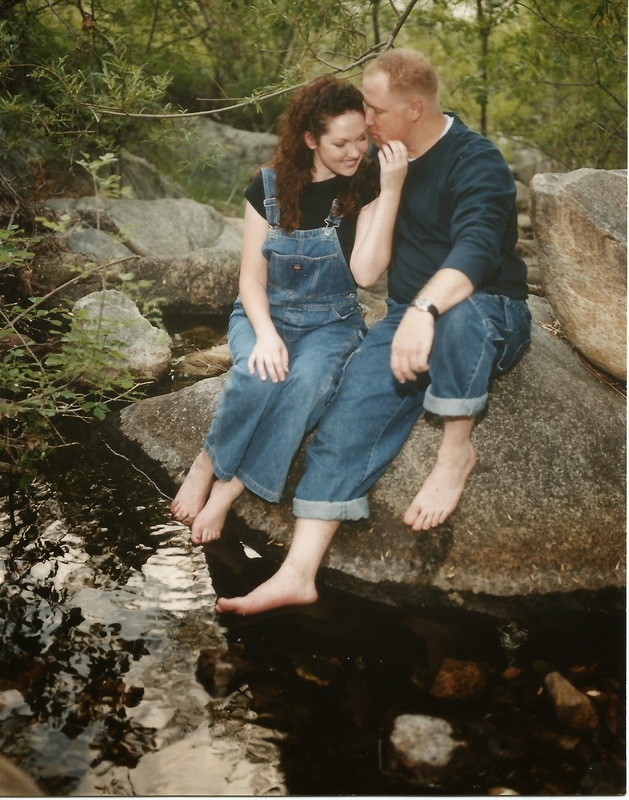 It took me quite a while to convince him, but just shy of a year later we were married in the Mesa AZ Temple. 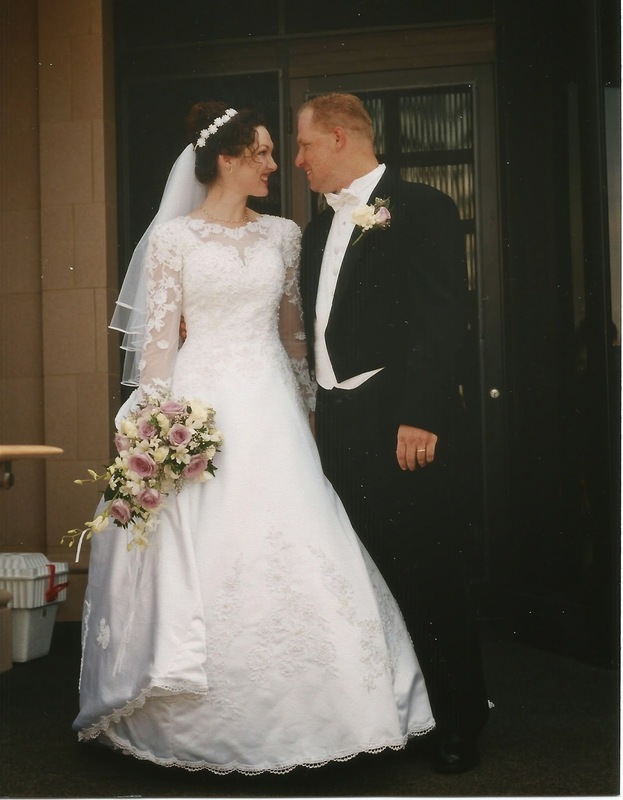 13 years and 3 kids later we're still going strong! He had to work today, but was able to swing by for a few minutes on the way back from a call. The kids ran out to see the ambulance and we were able to catch a quick kiss before he had to run off again. We'll go out next weekend and celebrate. Here's a few of our engagement and wedding photos! Exiting the Temple just after we were married! The cake: I loved this cake! Notice the people on the bottom tier! It was us! 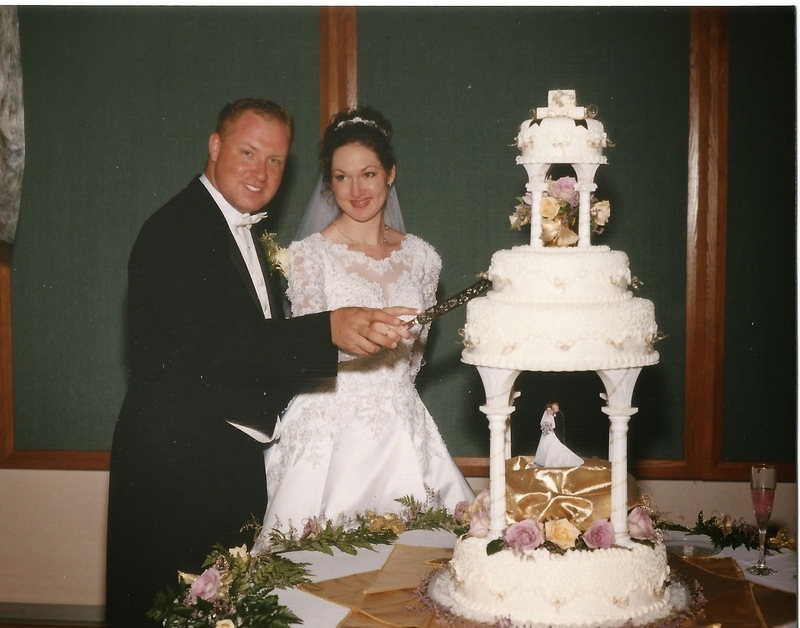 We were on our own wedding cake. Way better than little plastic figurines in my opinion On the the top was a ceramic replica of the Mesa Temple that we were married in. My Aunt Marjie Christensen had made it when I was young. Look how young we looked! 0 People with something to say. 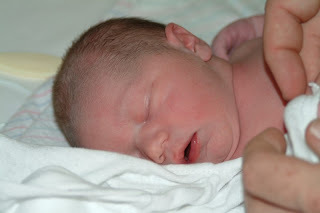 She tricked us when she was born, and made us think she was coming on the 15th, but she took her sweet time, and left her mama in labor for 34 hours. Yes. Thirty-four hours. THIRTY-FOUR HOURS. She finally came at 2:51 pm on January 16th, 2004. Back to her Birthday. This morning I woke up extra early and made her homemade from scratch blueberry pancakes! Umm... no. That didn't really happen. What DID happen was that I got up about 3 minutes earlier than I normally do, and made her Krusteez just add water pancakes. While mixing them I remembered I had a Costco bag of frozen blueberries, so I threw a handful into the batter. I did however plan on the pancakes the night before, and set out the pancake mix, bowl, griddle, measuring cups and whisk. I don't bend well in the mornings to get these things out, so setting it out the night before insured that the pancakes would most likely get done, instead of the usual bowl of oatmeal or cereal. See, I'm a thinker. Was it a fabulous Pinterest recipe that I spent an hour on and made all cute and fancy? Nope. Did it make my daughter feel special on her birthday? Yup. Mission accomplished. While the pancakes cooked I fixed her hair that we had put sponge rollers in the night before (see, I'm thinkin' again!). Denver was sure to come let me know when the pancakes were ready to flip. After breakfast when she was all ready we snapped her picture (it was rainbow day at school, hence the colorful outfit) and she rushed off to the bus. At this point I would LIKE to say that I went in and started making homemade treats to take to her class. In reality, I finished the rest of the pancakes, surfed the net, and went back to bed. When I got up I helped Matt pick up the house, put some Christmas stuff away, and cleared a table I haven't seen since before Christmas. Then I went to Dunkin Donuts, ordered 60 donut holes (they gave me 75!) went to Walgreens and got a Hello Kitty birthday balloon, and headed to the school. 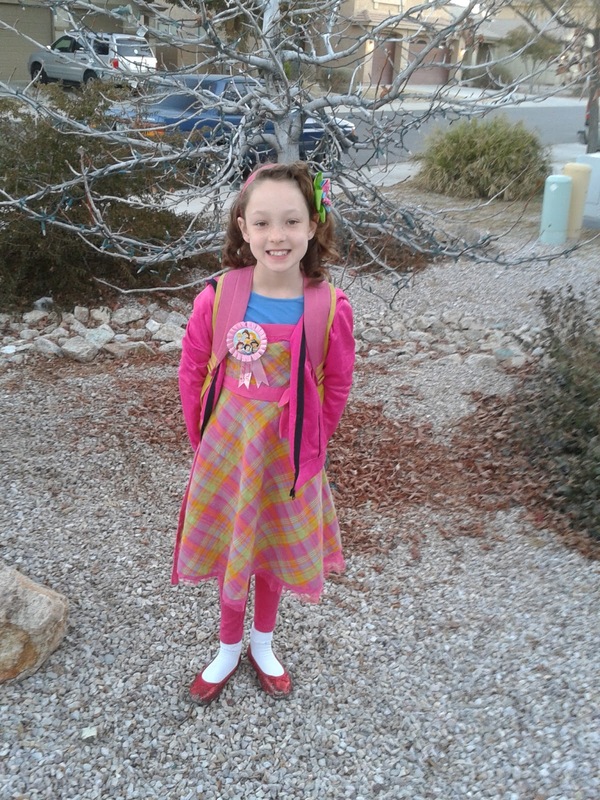 Her teacher fashioned a birthday crown out of the scalloped paper stuff that you put around bulletin boards, and a laminated cupcake with her name on it. 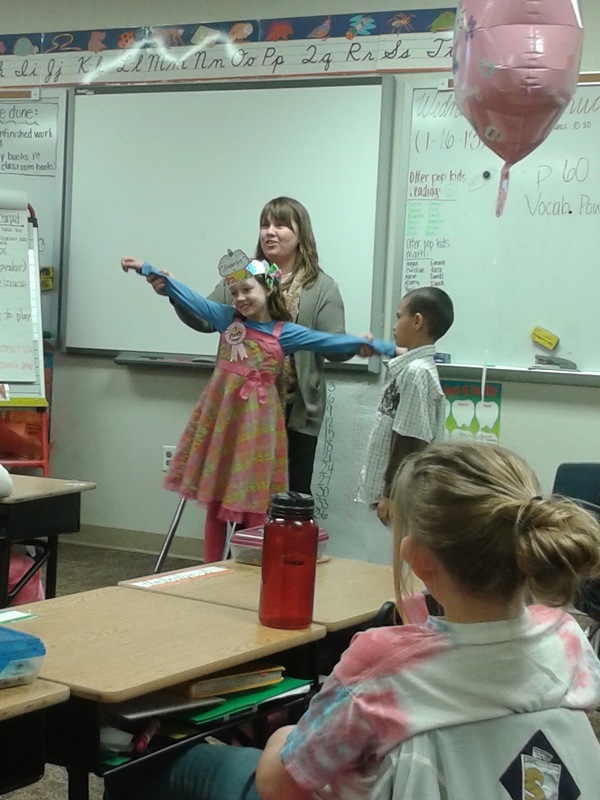 Then the class sang the "cha cha" version of Happy Birthday to her while her teacher stood behind her and moved her arms around for her. It was pretty cute :). (If you haven't heard the "cha cha" version, ask any elementary school kid to sing you the Happy Birthday song with cha chas. I hate that song.) Then she picked some friends to help pass out the donut holes. They were all thrilled! Since the school day was almost over, I went and got Denver from class, and drove the two of them home, instead of them riding the bus. Did I make cute homemade cupcakes with sprinkles? Nope. Was every single kid in the class super excited that Amberlyn's mom brought Dunkin Donuts, which made Amberlyn feel really cool, plus she loved the Hello Kitty balloon, and I drove her home and didn't make her take the bus? Yup. Score for mom. When we got home, she changed her clothes, and it was presents time!!! Two new skirts, 3 new shirts, a sweater, new pj's, a princess art set, TONS of LalaLoopsy mini's and a matching doll house, nail polish, a fluffy purple scarf, her favorite scent from Bath & Body Works sparkly lotion, cards, and money. Spoiled much? (mostly from grandparents) Normally I would have made her cake myself. But once you hit 35, you start paying people to do things for you. My friend made the cake for me, and Amberlyn was SO EXCITED when we went and picked it up at her house yesterday! Hours in the kitchen? Nope. Happy birthday girl? Yup. That smile is priceless. After presents it was mommy daughter time! I have a friend who does gel nails, so Amberlyn and I headed over to her house, where we both had gel manicures. Amberlyn chose a gold glittery polish, with just one nail on each hand pink! I stuck with my usual red, but it was super shiny! When we were done, it was birthday dinner time! 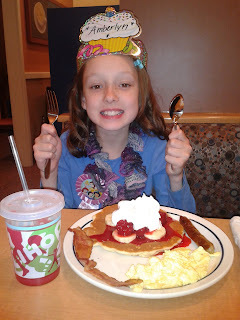 She had originally chosen to go to Applebee's, but we found out that the new IHOP was opening on her birthday! Since she loves IHOP, she altered her choice. Opening night was a bit hectic, but we had a great experience! She ordered a "Rooty" with strawberry banana pancakes, yum! She was wearing her birthday crown, and her Birthday Princess ribbon, and almost every staff member told her happy birthday at one point or another. When she was done with her pancakes, the ENTIRE STAFF came over and sang her a birthday song, and she got ice cream with whipped cream, chocolate chips, and a cherry on top! At which point Denver immediately turned to me and asked if we could have his birthday dinner at IHOP too. When we got home, the kids got jammies on, she wore her new ones, they had some cake, and Matt and I tucked them into bed. So that about sums up her 9th birthday! She had a great day! Special breakfast, treats at school, presents, manicure with mom, and dinner at IHOP. Do I love all the things I find on Pinterest? Yup. Do I wish I had taken the extra time & effort to do made from scratch food homemade treats, and decorated the house for her birthday. Eh. Normally I do all that. Is it okay to sometimes take the "easy" way out? As long as your child feels loved and special, then yes, it's just fine. I figure, as long as I'm raising my kids to be kind and respectful, to be independent & outgoing, to love each other and love the Gospel, to choose the right and be fun and happy kids, then I'm doing my job. I fix them breakfast every morning, pack their lunches every day, and tuck them in every night. Does she care that the pancakes were from a mix? Nope. Is she going to remember who made the birthday cake? Probably not. Is she going to remember that her mom came to the school, spent time with her to have her nails done, and tried to make her day extra special? Ya, I hope so. Happy Birthday Amberlyn, I love you. That bittersweet moment. The first day of school. Great to get them out of the house, but it also means they're growing up fast. 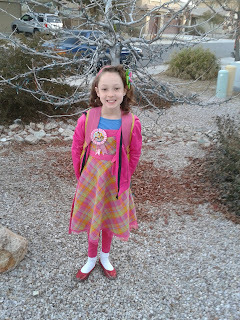 Amberlyn is officially a 3rd grader! 3rd grade. Really? I don't know what it is, but there's something majorly different about 2nd grade to 3rd grade. Daddy woke them up this morning before he left for work. 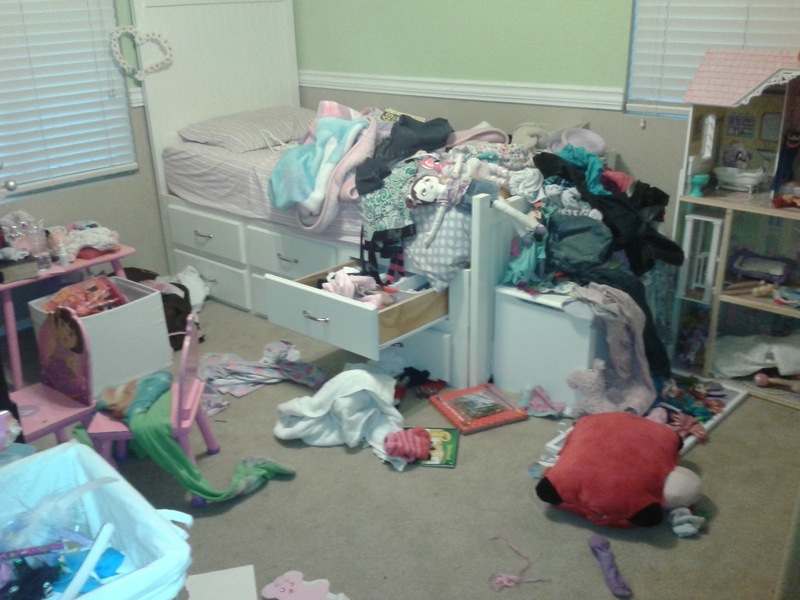 They'd laid out their clothes last night, and were very excited to get dressed. Denver donned a shirt that says "Don't Bug Me" with a big bug on it, while Amberlyn had selected a twirly cotton dress. We got shoes on, beds made, got hair done, fixed oatmeal for breakfast, brushed teeth, packed lunches & backpacks, did chores and said prayers. Then it was outside for picture time! 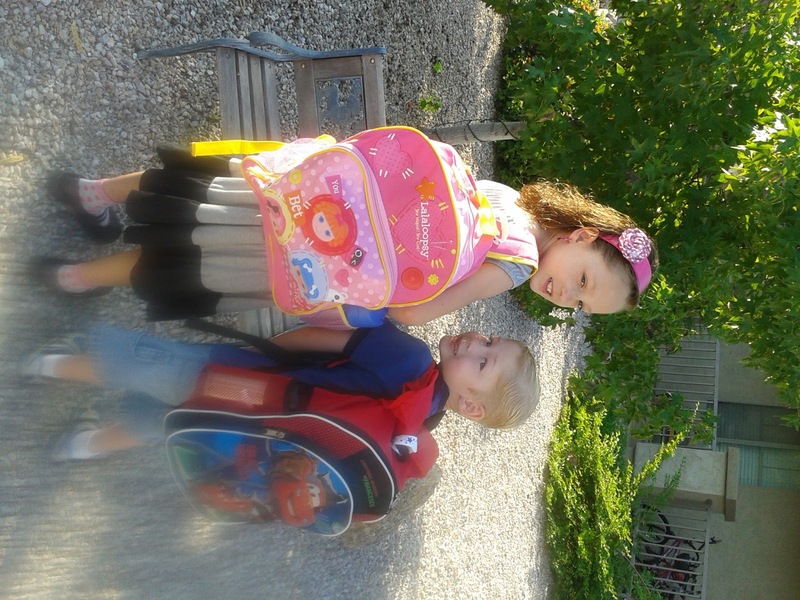 Amberlyn has a new Lala Loopsy backpack, and Denver has the same Cars backpack from last year. 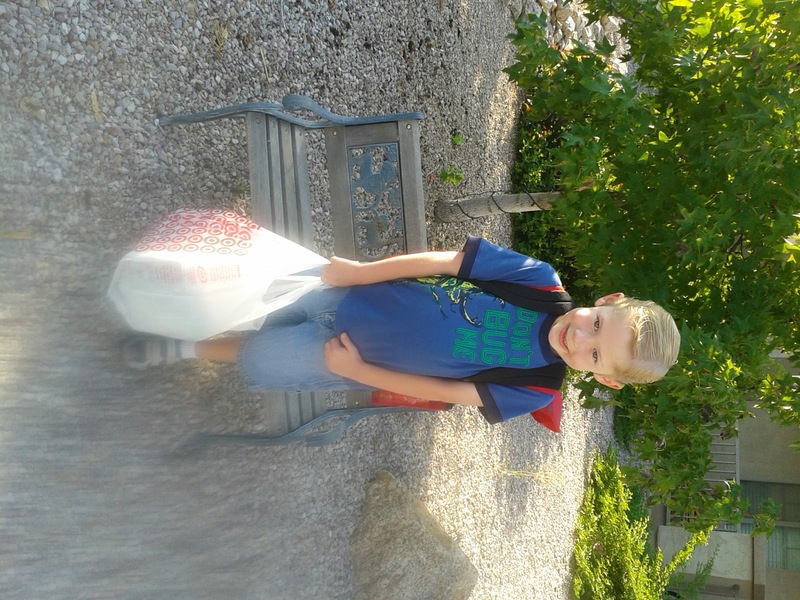 They had their bags of school supplies to hand in to their teachers, and smiles on their faces! 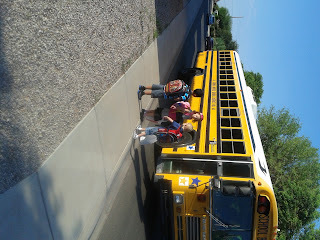 Grandma and I walked them to the bus stop and waited for the bus to arrive. 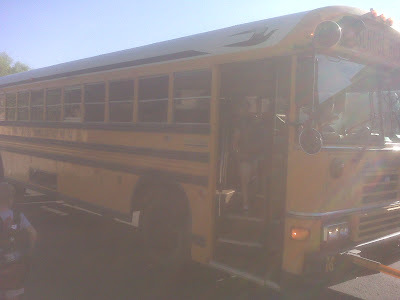 When it pulled up, kisses and hugs were given and they got on the bus. The bus driver will assign seats tomorrow, and I made sure to have them sit together. We blew kisses as they drove off! We'll see them in 7 hours! 1 People with something to say. 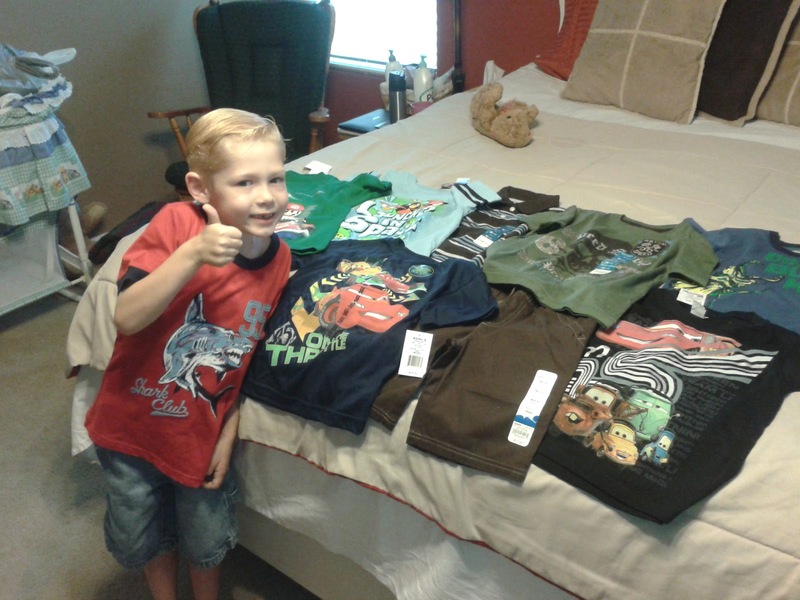 I took Denver shopping for some new school clothes. We got 8 shirts, and only 1 pair of shorts, (Kohl's was lacking in the shorts department, we'll have to try somewhere else for that.) Denver has wanted to wear a new shirt ever since we got them, and it's been less than 24 hours! I told him to get dressed this morning, and of course he wanted to pick one of his new shirts. I told him they were to be saved for school. He protested and I said again that they were school shirts and we would put them in the closet until school starts in 10 days. "Umm.. mom...? what if we make some of these shirts not school shirts." - In other words, if it's a non-school shirt I can wear it right now, right? Cute boy! I giggled, and Matt told him he sure was smart, which either embarrassed him, or upset him, because he put himself in the corner after that. He sulked for a minute, until Matt brought him over, and being the sucker that I am, I gave in to that sweet little boy. I told him he could pick just one to wear, and the rest would go in the closet. He can wear the shirt whenever he wants to for the next week, but he can't ask me for anymore of his school clothes. He was so happy. How could anyone resist that? We have a name picked out if the baby is a girl, but have quite a list of boy names we're working on. I asked Matt if he liked the name Hudson. He said, "Doc Hudson!" (from the movie Cars) He said we could decorate the room in purple cars! 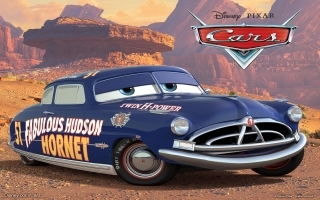 Matt: "Ya, Doc Hudson is purple." Me: "No he's not, he's blue." Me: "He's not purple, he's totally blue." Matt: "I think he's purple." Me: "Then you're color blind, he's blue." Both of us call in unison: "Dennnverrrr!!!!" Me: "Amberlyn go practice the piano." Amberlyn: "Mom, I need to do my fairy." Me: "...Amberlyn, you need to practice piano, you have lessons tomorrow." Amberlyn: "No mom, I need to do my fairy!" Me: "Your what? Just go practice!" Amberlyn: "Sister Moak said I have to do my fairy!" Amberlyn: "You know, with writing the notes and stuff..."
Amberlyn: "Oh, ya. I need to do my theory." Fall Break. It's enough to drive a mother mad. Sure I like sleeping in, but it's not really sleeping in when the kids come in every morning at 7-oh-something demanding things like food, and entertainment. The nerve. Plus, one can only take so much SpongeBob before you want to stab someone in the eye ban him from your house. So I decided to do something out of the norm, so they don't drive me crazy. We decided to head over to a family in our ward's home, and learn how to milk a cow! I told them what we were going to do the night before, and they were so excited they were up practically at the crack of dawn. We had a quick lesson on what to do, and after watching Sister Palmer milk for a bit, Amberlyn was up for the challenge! She did great and even got some milk! Denver took a bit of coaxing. He didn't want to get to close to the huge cow at first, but as soon as he sat on the stool with Sister Palmer, all fear went away! He had success, but decided he was done after about a minute. They both had a great time, and even got to pet a chicken when they were done! We took some milk home after learning how to pasturize it, and Matt is mostly excited about the cream. Here's to finding more adventures over fall break! A gal I went to high school with posted that she was in a trapeze group and they were having a free show on Saturday night. (She used to be a trick-ski-er at Sea World, she was the top of the skiing pyramid!) 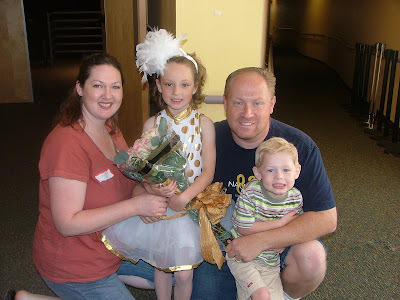 I hadn't seen her in years and thought it would be fun to take the kiddos to the show. 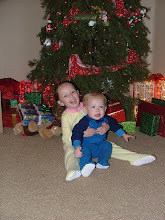 We invited a friend and her munchkins to go, loaded up the jammie-clad kids into the car, and headed out to Gilbert. We set up our camp chairs in the audience area, got some popcorn, and sat back to watch the acrobats! There were several "flyers", each went 2 times. It seemed to be a 'recital' of sorts, sort of like a dance or piano recital, but they were showing what they had learned to do on the trapeze! It was fun to watch! The kids were enthralled, watching intently as they snacked on their popcorn, and some treats and juice that I'd brought. Each time a new flyer was ready to go, they would announce their name, and the trick they were going to do, such as a half-nest, or an over-top, etc. After each announcement, Denver would ask, "Mom, what's a half nest?" or whatever trick they had announced. Every time. Without fail. Kristen, the friend that went with us, started laughing at how often he asked. I would always say, "I don't know, let's watch and find out." It was a good show! Afterwards, they announced that for a fee, you could have a turn flying! Well of course the kids wanted to try, and really, how often do you get to go on a flying trapeze with the greatest of ease?!? I thought it would be an awesome experience! The age minimum was 4-years old, Denver just made the cut off! So all three of us, (Daddy was at work unfortunately), plus my friend's son Andrew, signed our waivers, headed to the loading area, and waited for our safety harnesses. A guy explained what we would be doing as he suited us up, and one at a time we climbed the VERY tall ladder to the top of the jump board! Denver was first, he had a blast! Yes...that's my 4-year old... on a trapeze. Amberlyn came next! She was wearing a night gown, which we tried to rig a way to close, but in the end, she's just a fun loving upside down 7 year old! The hardest part was jumping off the board, which I told my feet to do several times until they finally listened. It was definitely scary! A huge adrenalin rush! I was still shaking when we got into the car to come home. The kids had a bast, and now want to go to trapeze school! Who knows, we may just be a circus family...! 3 People with something to say. 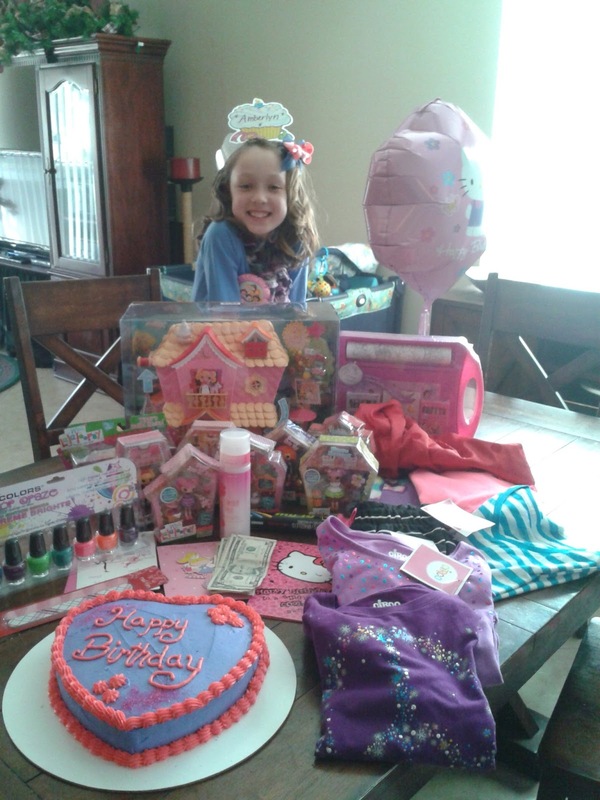 So today Amberlyn was going to a birthday party for her friend Hannah. We went and picked out a gift. I told Amberlyn we would go home and wrap it, then go to the party. She says, "I wish we could wrap it like Santa does." I asked her what she meant. She said she wanted to wrap it how Santa wraps things at Christmas. "Please explain what you mean. How does he wrap it?" She says, "You know, with that paper... not like in a bag." Me, "You want to put in in a box and wrap it with wrapping paper instead of putting it in a gift bag?" "Santa has lots of elves to help him wrap all the presents like that. We don't have any elves, and not very much time to wrap it, or you'll be late to the party. We'll just put it in a cute bag." "Okay..." (under her breath) "I wish we had some elves...."
2 People with something to say. 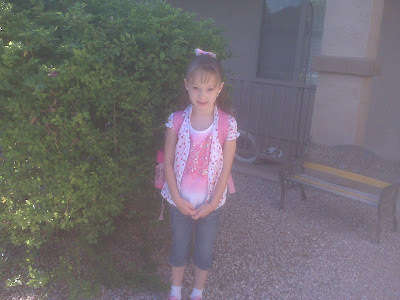 Well I sent Amberlyn off to her first day of first grade at her new school today! She was SO excited! 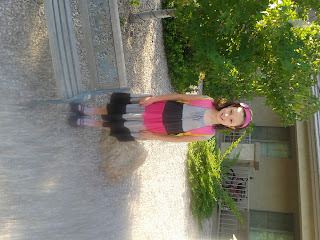 Last week we went to go meet her teacher. We got to the school, went to the multi-purpose room to get her bus-route, and then into the corridor to find her name on the bulletin board to see who her new teacher was, Ms. Weygand. We met another little boy there who's in her class. I heard his mom tell him that Ms. Weygand was his teacher as well, so I told Amberlyn to go introduce herself to a new friend. Before we made our way down the hall to her room, I checked the board for all the other 1st graders in our ward, and ALL FOUR of them are in the OTHER 1st grade class! But the little boy who lives two doors down from us, Yuuki, is in her class, so at least she'll know one person. Down the hall we went to find room 421. We signed in, found her desk, and she explored the classroom while I filled out some papers. Her teacher had a scavenger hunt for the kids! They had to say hi to the class pet, Bob (a spiral shelled snail), guess how many marbles were in the jar, have a cookie and juice, and go say hi to the teacher. Amberlyn took notice of the giant alphabet rug, the library center, and all the new friends! Yesterday we got her backpack all ready. We loaded it with pencils, crayons, notebooks, glue sticks, tissues, hand sanitizer and much more. Then we got her lunchbox ready, a new Hello Kitty bag with a matching thermos. The teacher allows water bottles at the desk, as long as they don't sweat, so we filled the thermos with ice water and set it on the counter for few hours to test it out. No drips! She was so anxious that we got her lunch all packed right then and there, except for her sandwich, and put it in the fridge. 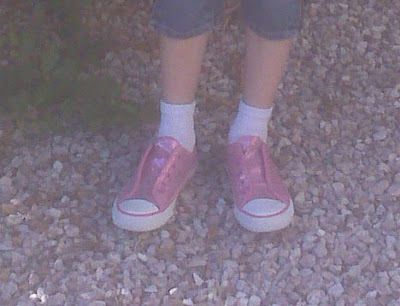 After dinner, she took a bath, cleaned her room, and tried on two different outfits to see which one matched her new pink sparkly shoes best. Such a girl! She got a story from mommy, a blessing from daddy, and off to bed she went. We woke up this morning on time (a great relief since I'd had a very realistic dream that we were almost an hour late on the first day of school, and I was overjoyed to wake and find that is was just a dream!). She made her bed, got dressed, we said prayers and had a breakfast of scrambles eggs and toast. I fixed her sandwich and added it to the grapes, juice box, pretzel sticks and treat that were already in her lunch bag. 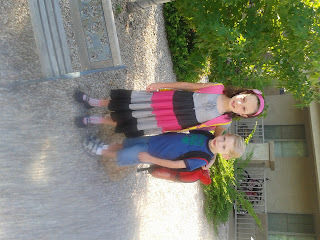 Then we fixed hair, brushed teeth, and selected earrings, (white butterflies) and set out to the bus stop. I couldn't find my camera this morning, so I had to use my cell phone to grab a quick picture in front of the house. I'd debated letting her ride the bus or driving her for the first few days. She was insistent on riding the bus, so I called a friend in the neighborhood to see if she was going to let her 1st grader ride the bus on the first day. She said she would, so I decided to let her go. I told Amberlyn to walk with her friend to class, since her room was right next door. Denver and I waved as they pulled away, with still no sign of Cambri! Oh no! Thank goodness Yuuki was there too. He went to the school last year, so he probably knows where to go. While Denver headed for the slide, I walked to the bench and let myself cry for just a minute. 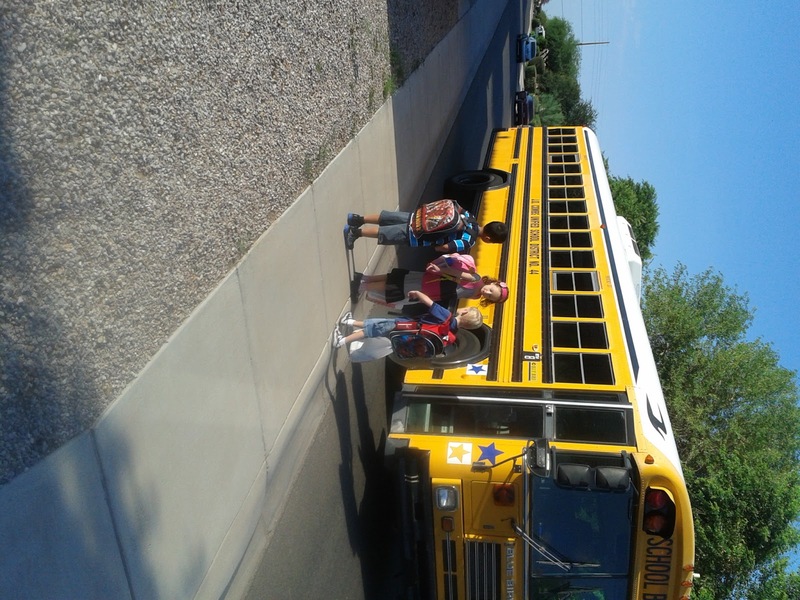 My little girl is big enough to ride the bus by herself! I have to admit, that I really wanted to get on the bus with her, walk her to her class, and sit outside the door all day. A few minutes went by, and Cambri and her mom and brother pulled up to the park! She said they'd been fixing hair and taking pictures and didn't make it in time! She was just going to drive them, and she'd have her daughter watch for Amberlyn. Denver and I headed back home after a few minutes of playing at the park. We called daddy to tell him that she got on the bus okay. I can't wait for her to come home and tell me all about her day! Amberlyn & Denver are both taking swim! They love it! Denver hasn't quite gotten the concept of arm & legs at the same time, but he likes it none the less. Amberlyn was the same way when she first started swimming, but then one day it clicked, and she's been a fish since. I'm just waiting for Denver's "aha" moment, so he can take off too. They'd been going to Miss Jenni, but Amberlyn learned everything she had to teach her, so last summer I put her in a more advanced class. She learned diving and some different strokes. This summer I put her in a similar class, closer to home. She loves it! The pool has a waterfall but they turn the water off during swim. But the underneath makes a great cave, and they're learning to dive off the top! Denver is still going to Miss Jenni, hopefully he'll "get it" soon, and we can move on! 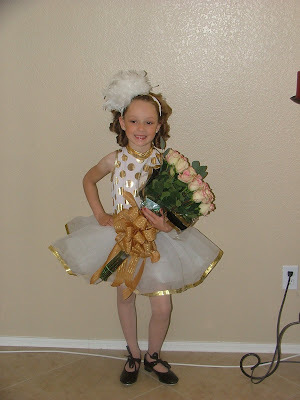 Amberlyn had yet another great dance recital! She did such a good job, and looked absolutely adorable in her costume! Here's just a few pictures. We're going to see my dad on Wednesday for some professional ones (the dance studio charges WAY too much for theirs) which I'll post later. And here's a quick video! ($25 to purchase a 3 hr DVD of students I don't even know is ridiculous! I only want the 3 minutes with my kid in it!) She's the second from the right. The Easter Bunny didn't come!!! Well, not here anyway, but he found us at Grandma's in Tucson. He wanted to leave an activity book for each of them as well, but didn't necessarily want to have to buy one for each grand kid. He keeps looking for an opportune time to leave it here, but couldn't come up with an explanation as to why it was late. one popsicle stick per mask. Optional items are cotton balls and one mini marshmallow per mask. You can cut the marshmallow in half lengthwise and glue the 2 halves to the teeth, and cut the cotton balls up (optional) and glue them to the cheeks/face. Color the pieces, cut them out, including the eyes. 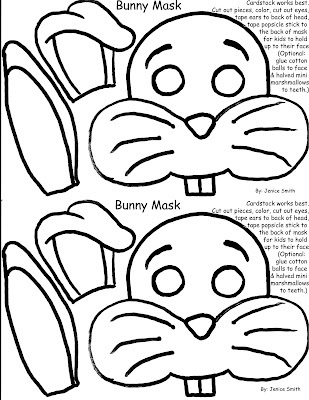 Tape/glue ears to the back of the head, and tape/glue a popsicle stick to the back from the nose down, so the kids can hold it up to their face. The content on this blog is the sole property of the author. It may not be used or reproduced in any manner without consent. All Rights Reserved. Copyright © 2008. Don't risk your eternal salvation by stealing a post! I will find you if you copy my stuff without asking. I promise! (I know where you live.) You're welcome to put a link to this site if you wish.